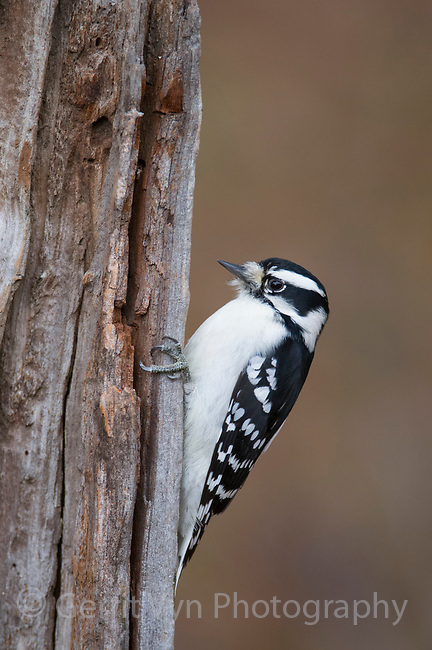 Adult female Downy Woodpecker (Picoides pubescens). Tompkins Couty, New York. November.